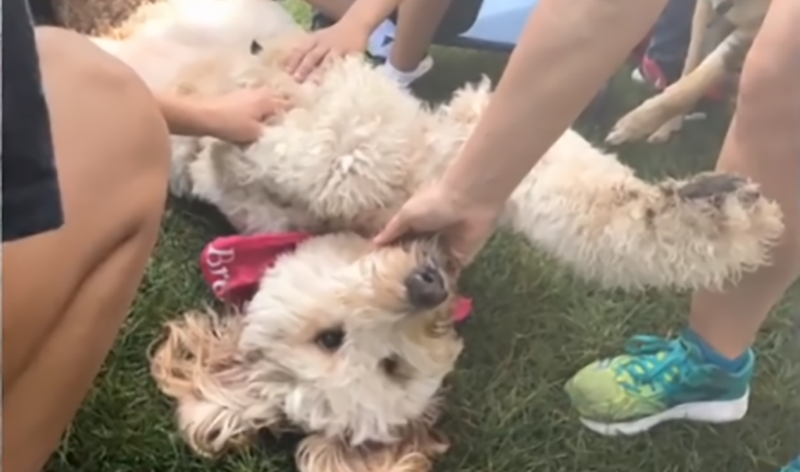 Smiles and laughter filled the park as furry tails from the Sit Means Sit & Go Team Therapy Dogs wagged and rolled around, providing a fun, peaceful environment to those in attendance at the 6th Annual #NFStrong 5K Walk/Run for Neurofibromatosis in Boardman, OH on June 23rd. The Go Team began in central Colorado when The Waldo Canyon fire took place in the summer of 2012. 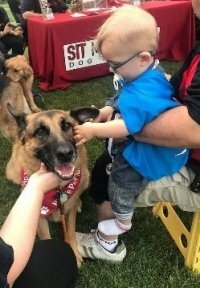 Clients of the Sit Means Sit Dog Training team visited displaced residents in hotels and first responders to provide both comfort and distraction. 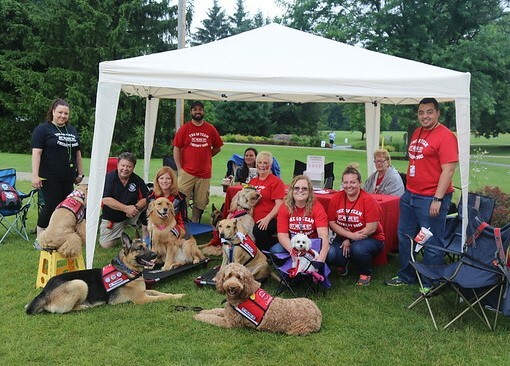 Current Executive Director, Nancy Trepagnier, and the original team of volunteers, saw the need for more therapy dog teams, and after about a year, the first Go Team was in training. Since it’s formation, the Go Team has grown from 2 teams, containing Nancy’s two dogs, Tabor and Snickers, to over 800 teams nationwide. The Boardman team gave us memories that we know will last a lifetime, and we highly recommend them and look forward to their return next year. For more information on the Sit Means Sit & Go Team Therapy Dogs, visit their website at http://www.goteamdogs.org.